verb chair: [with object] 1 act as chairperson of or preside over (an organization, meeting, or public event). 2. British carry (someone) aloft in a chair or in a sitting position to celebrate a victory. c. To award the chair to (the successful competitor at the Welsh Eisteddfod). Sense 1a, in the specialized sense ‘to install in a chair of authority’, further specialized in an academic context. They have chaired Jurafsky, drummed him into the pantheon! trans. ‘to chain to a chair’ (They used manacles to chair their captive), ‘to fend off using a chair’ (The trainer deftly chaired his tiger), ‘to place a chair on the head of’ (In a moment of whimsy, she lampshaded one of them and chaired the other), ‘to transform s.o. into a chair’ (Before she could protest, the magician chaired her); intrans.‘to act as or play a chair’ (In the Furniture Game, he end-tabled and she chaired), ‘to transform o.s. into a chair’ (Odo briefly chaired before pooling for the night), etc. That’s the great advantage of verbing, its flexibility: you can do so many things with verbing. And, simultaneously, its corresponding great disadvantage: any verbing can be understood in tons of ways, maybe even (in context) an endless number of ways. Further complexity: some brief versions are conventionalized expressions — the editors of NOAD thought that just two verbings of chair are — and these you can more easily get away with. Fresh creations, as in the title of this posting, make more work for your readers or hearers than conventionalized expressions. Is that worth it? It’s all got to be balanced out in the context, according to your aims and your assessments of the needs of your readers or hearers. No easy answers. Still more seriously, Jackson Eli Reynolds, the person honored by the naming of the professorship that Dan now holds (or is about to hold). Most often, this is the person who fronted the money, who supplied the endowment that now provides the holder’s salary (though sometimes endowments are set up to honor someone in the donor’s family, or someone the donor admires, even, occasionally, a beloved former professor). 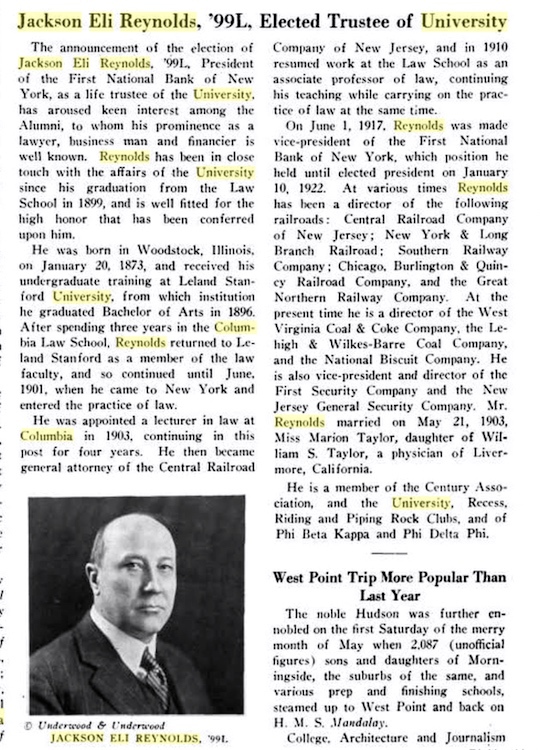 I suspect that Reynolds was in fact the donor of the endowment that bears his name: lawyer, banker, and financier Jackson Eli Reynolds (1873-1958), Stanford A.B. 1896, Columbia Law 1899, and subject of a 1949 Columbia Univ. 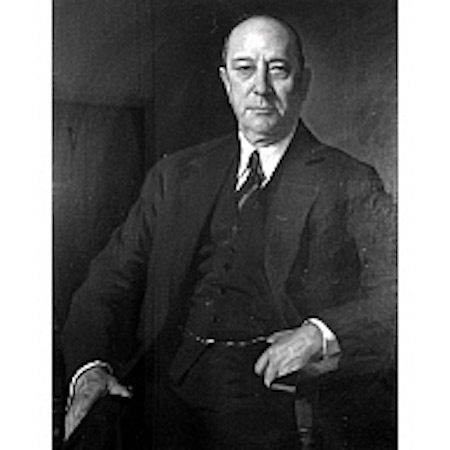 oral history Reminiscences of Jackson E. Reynolds. Deborah Cameron (born 10 November 1958), is a feminist linguist, who holds the Rupert Murdoch Professorship in Language and Communication at Worcester College, Oxford University. She is mainly interested in sociolinguistics and linguistic anthropology. A large part of her academic research is focused on the relationship of language to gender and sexuality. There are two Reynolds chairs at Stanford, one in law, one in humanities. Ralph Richard Banks is the current Jackson Eli Reynolds Professor of Law at Stanford Law School. And Dan’s predecessor is Stephen Orgel in English, now the Jackson Eli Reynolds Professor in Humanities, Emeritus. This entry was posted on June 16, 2018 at 12:44 pm and is filed under Academic life, Awards, Linguists, Stanford, Verbing. You can follow any responses to this entry through the RSS 2.0 feed. You can leave a response, or trackback from your own site.